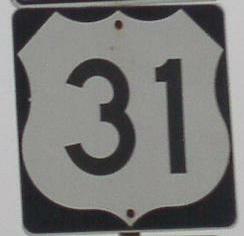 U.S. Federal Route 31 runs north-south in Central Fulton County. It runs from the Miami/Fulton County Line, near Green Oak, to the Fulton/Marshall County Line, near Richland Center. U.S. Rt. 31 passes through the following town in Fulton County. U.S. Rt. 31 is not multi-plexed in Fulton County. U.S. Rt. 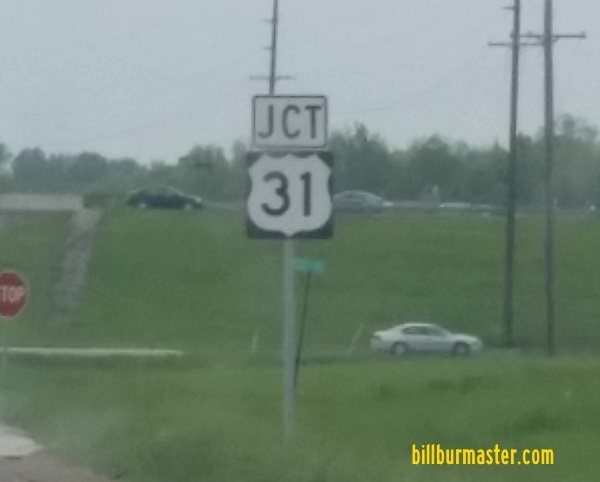 31 crosses the following highways in Fulton County. 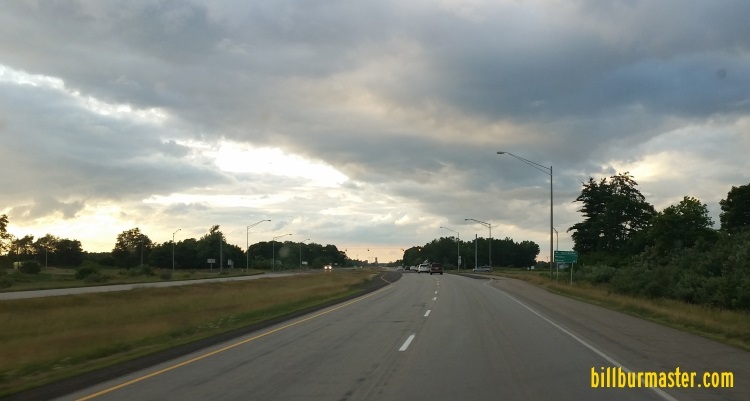 Indiana State Route 25, at Rochester. 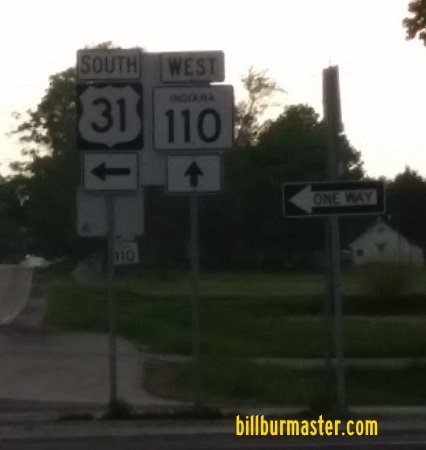 Indiana State Route 110, near Richland Center. NB U.S. Rt. 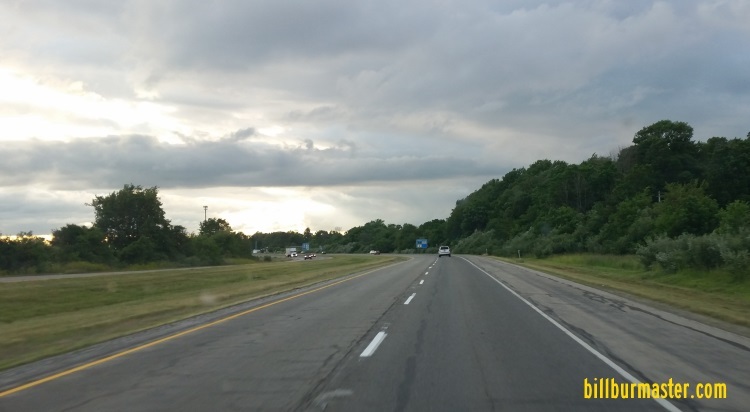 31 south of Rochester. A junction marker on NB IN St Rt 25. 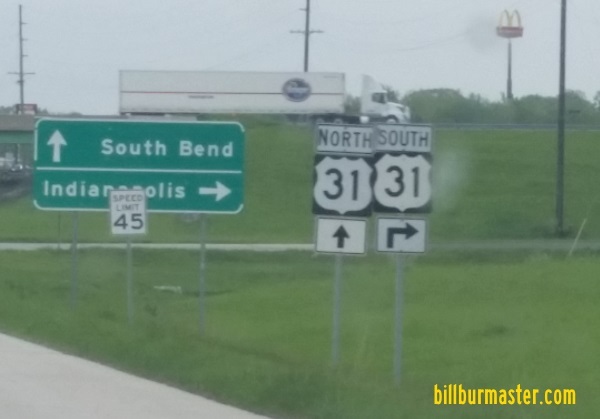 A set of guide markers on NB IN St Rt 25. NB U.S. Rt. 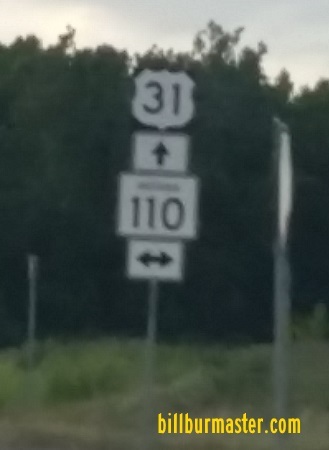 31 south of IN St Rt 110.